Our weatherization crew does a lot of work on roofs. 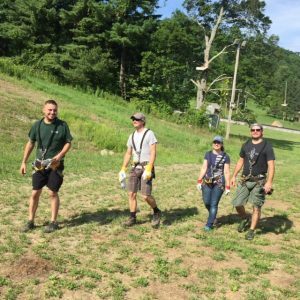 Whether it is installing a roof flapper for a bath vent or creating a ridge vent to get moisture out of the attic, crew members find themselves climbing and working on steep roofs that can reach thirty feet off the ground. 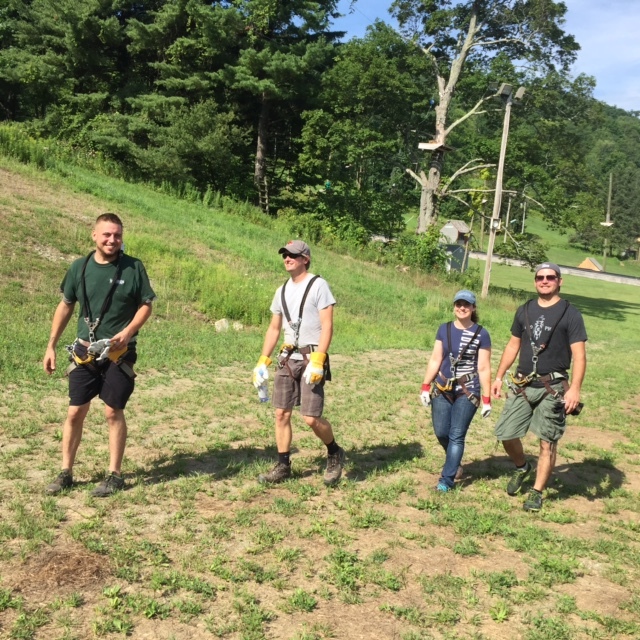 In an effort to help newer crew members overcome some reservations about working at such heights, as well as to create a team building experience, we decided to hold a “day in the trees” event at Catamount Adventure Park. 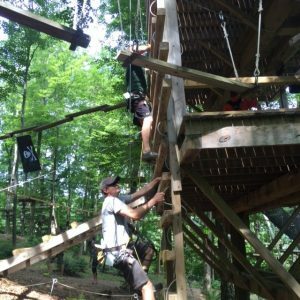 The park has many challenging climbing courses as well as some rousing zip line descents. And the heat of the day matched that of just about any attic we work in.